Beautiful wedding photos that you will remember forever. To guarantee the high quality, I accept a maximum of 30 weddings a year. Ask here if your wedding date is still available. 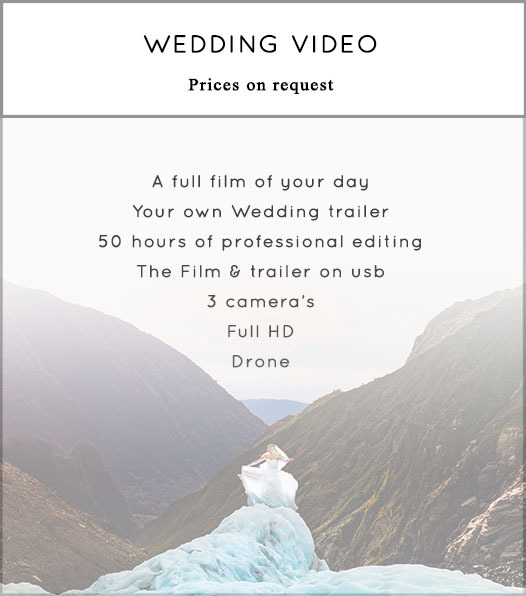 Does your wedding consist of multiple locations? No problem, I work with a private driver. Because I don’t have to search for a parking space, I can immediately photograph at any location. As a result, all moments of the day are recorded. I’ll always arrive with a second photographer at your wedding. For example, at the ceremony you can see the reaction of the groom, the bride and the guests at the same time. 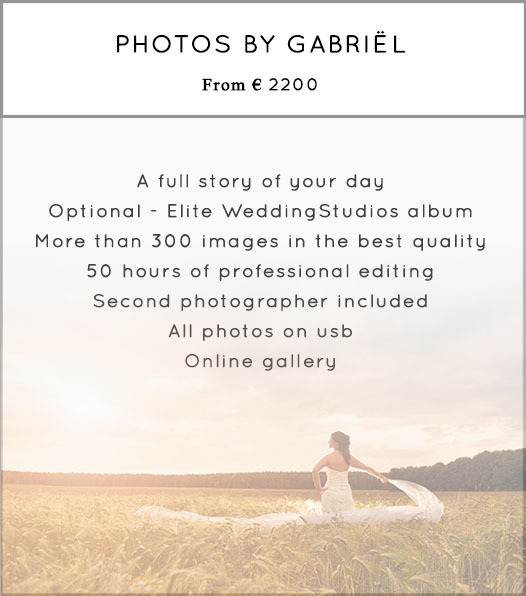 A Loveshoot, Photoshoot or a Pre-wedding shoot is also possible. Please contact me and I’ll email you all the possibilities. Is your wedding a destination wedding? Awesome! I’m already looking forward to all your stories about your special location. 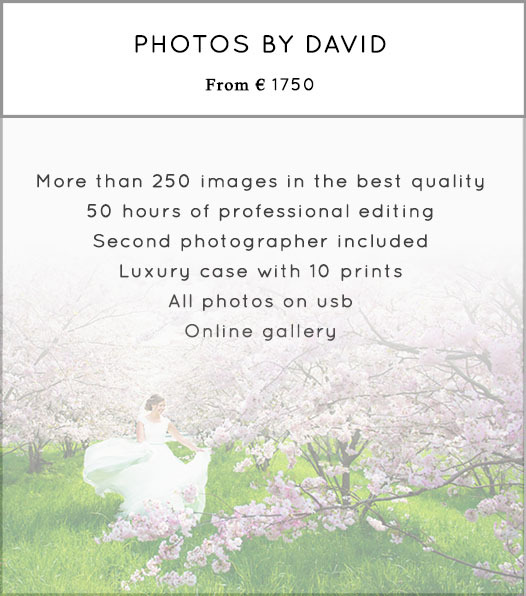 I’ve photographed beautiful weddings in: America, Canada, New Zealand, Italy, Greece, Spain, France, Germany and Belgium. Please click here if you still have a question, I'll be happy to help.